Bite Beauty Best Bite Rewind and Discovery Set For Holiday 2015 | Top Beauty Blog in the Philippines covering Makeup Reviews, Swatches, Skincare and More! 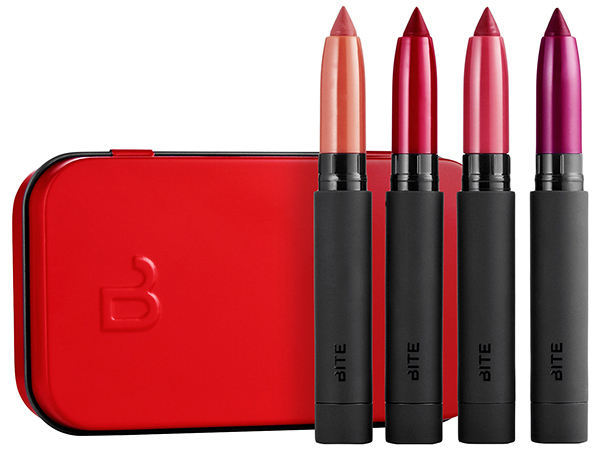 BITE BEAUTY BEST BITE REWIND ($25.00) (Limited Edition) - Best Bite Rewind features a universal and festive, hydrating, lip crayon collection in matte finishes. Premium triple-milled pigments provide powdery light, highly pigmented payoff, while naturally derived orange peel wax naturally protects and seals in moisture. Housed in a fun, holiday tin, this set is perfect for gifting. 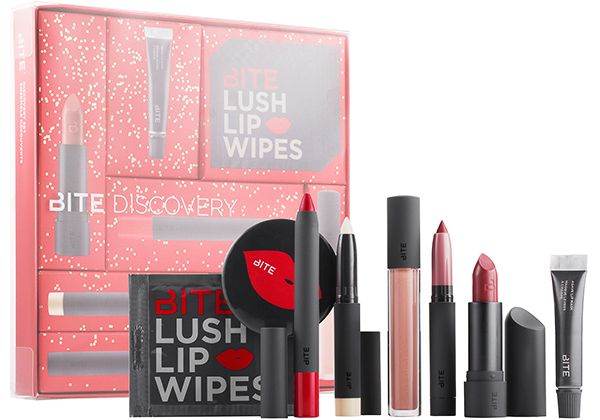 BITE BEAUTY DISCOVERY SET ($55.00) (Limited Edition) - Explore Bite Beauty’s collection of deluxe minis and full-size favorites. Carefully curated and crafted for the perfect mix of lip treatment, prep, and color, this set includes the Agave Lip Mask, which hydrates, soothes, repairs lips, to the Lush Fruit Lip Glass to give lips intense shine. It's ideal for giving as one gift, or break it up for charming mini stocking stuffers.